If you were to listen to the mainstream news, visiting Mexico doesn’t sound like a great idea. Previously it has had a bad reputation for crime—frequent headlines of narco-violence and multiple U.S. State Department travel warnings. But don’t let sensationalist news stories deter you from traveling to this vibrant Latin American destination. Aside from dangerous areas along the U.S. border and other regions where cartels operate, Mexico is mostly a safe country. In general, if you’re not taking part in illegal activities you don’t have anything to worry about. As one of the world’s top tourism destinations, 35 million people visited in 2016. And it’s estimated that more than 1 million Americans and hundreds of thousands of Canadians live in the country full-time or part-time. It’s especially popular with “snow birds” who head south to escape brutal winter weather from December to April. Most of these folks visit, travel around, and enjoy themselves without incident. And people live in Mexico comfortably and without fear. In fact, Mexicans welcome foreign visitors with open arms. They’re a very friendly people who will go out of their way to help you. And because “gringos” have been visiting for so many decades, they’re used to having us around. In fact, many Mexicans speak English, especially in areas frequented by tourists. Although you will have a richer experience if you learn some Spanish. If you’re worried about visiting a specific location, it pays to research that area before you book your travel. 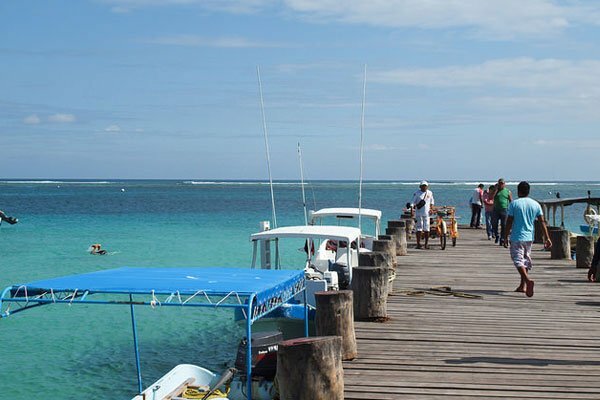 Join Facebook groups dedicated to living in and traveling to Mexico. Most areas and towns popular with expats and travelers will have their own page. You can network with residents to gauge the level of safety—who better to give you the reality than somebody who lives there? Those groups are also handy if you want to find out about activities, get recommendations for good neighborhoods or restaurant suggestions. Local knowledge can ensure that you make your trip the best it can be… and you already have some friends when you arrive. What Safety Precautions Should I Take Traveling in Mexico? • Don’t drive in isolated areas at night. • Make sure your rental car has all necessary safety equipment, including jack and spare tire. • When driving long distances, use the toll roads. • Don’t flash expensive jewelry or large amounts of cash in public. • Take valuable items out of your car. • Use official taxis and don’t accept rides from strangers. • Use your hotel safe for passports and electronics. • If you’re in a traffic accident don’t move the car until the police arrive. • Keep your wallet close in crowded markets and public transportation. • Don’t leave your bag on the beach, unless it’s a gated resort. • Don’t drink too much (which can be hard with those all-inclusive resorts). • Check ATMs for “skimmers” that could steal your financial data and generally use ATMs attached to banks. Keep an eye on your bank account while traveling to monitor for suspicious transactions. • Take a photo of your passport and email to yourself in case it gets lost. • Consider using a photocopy of your passport and your tourist visa when out for the day. • Make sure you have the numbers for your credit card companies and bank. Also, advise those institutions that you’ll be traveling to Mexico so they don’t freeze your account. • Tell a friend or family member your travel schedule, including dates and locations. You can even register with the embassy and/or consulate of your home country located in Mexico. This list may seem daunting. But when you think about, it’s the same thing you would do when traveling in the U.S., Canada, or Europe. What Else Should I Be Aware of When Traveling in Mexico? Potentially being the victim of crime is what most people think about when considering their personal safety in Mexico. But there are definitely other considerations as well. In general, there are fewer safety regulations than in the U.S. and Canada, and many of those that exist are laxly enforced. For example, construction sites might be totally open to the street, a hole in the sidewalk might go unrepaired for months and beaches are generally without lifeguards. Something else to keep in mind is that you can’t drink the tap water, even in the nicest hotels or homes, unless there is specialized filtering system. Stick with bottled water, which is widely available and cheap. It’s well worth vising Mexico even if you have to take certain precautions. There are many reasons to see Mexico and the following are just a few. As our neighbor to the south, it’s easy and cheap to get to Mexico, whether you fly or drive. With a territory three times the size of Texas and 4,559 miles of coastline on the Caribbean, Pacific, and Gulf of Mexico, there’s a huge variety of places to check out. Colonial cities in the highlands of central Mexico such as famed art haven San Miguel de Allende… major world cities like Mexico City and Guadalajara… resort areas on the Riviera Maya like Playa del Carmen and Cancun… bustling beach towns on the Pacific like Puerto Vallarta… quiet fishing villages turned bohemian hangouts like Sayulita… top surfing destinations like Todos Santos… and sport fishing and boating destinations like Los Cabos on the Baja California peninsula. It’s all in Mexico, plus so much more—and it’s fabulous. Whatever climate, activity, or lifestyle you’re looking for… you’ll find it here. It’s a modern country with good highways, multiple international airports with direct flights to the U.S. and Canada, high-speed internet, reliable electricity, and widespread cellphone networks, including 4G and LTE. Costs for everything from hotel rooms to long-term and short-term rentals in great locations to meals out to food in the grocery store are lower. So, you can afford those luxuries you can’t back home, and with the great exchange rate with the U.S. dollar, it’s very affordable. 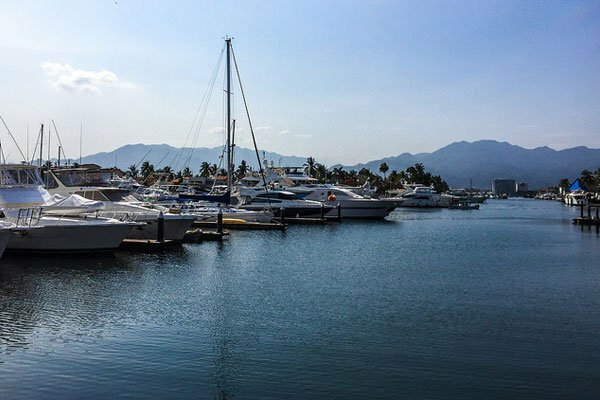 Its rich culture is a blend of indigenous traditions and its Spanish colonial history—there’s always a fiesta or holiday of some sort going on. Day of the Dead (Dia de Muertos) for example, on November 1 and 2 is a truly unique experience. And, of course, the food is to die for, whether you head into a fine dining restaurant in a major city or a humble taco cart on the street. You have the traditional Mexican cuisine, which is different in every region. There are also restaurants from around the world like Italian, American pub grub, sushi, Lebanese, and just about any other food you can think of. You’ll never go hungry, that’s for sure. Just think, if you were to avoid visiting Mexico you’d miss all of that fun. 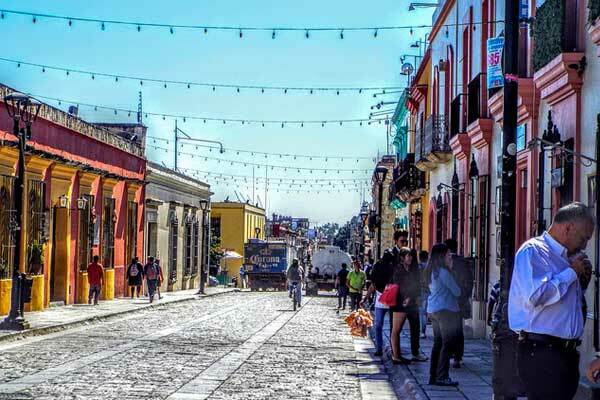 Mexico is a very safe country to travel to and live in as long as you keep in mind some common-sense safety tips. With a vibrant culture, rich food, fantastic climate and friendly people, it’s an ideal destination and well worth the trip. So, what are you waiting for?